Join us on May 9th from 10 am - 1pm for an interactive and informative CannaBIZ Forum featuring knowledgeable panelists who will help you to navigate this new niche opportunity. Massachusetts's Cannabis Control Commission's Commissioner Britt McBride and Representative John Fernandes will set the framework for the day, helping us to understand the legislative journey of cannabis legislation in Massachusetts. We'll also learn what's ahead so businesses can make informed decisions. 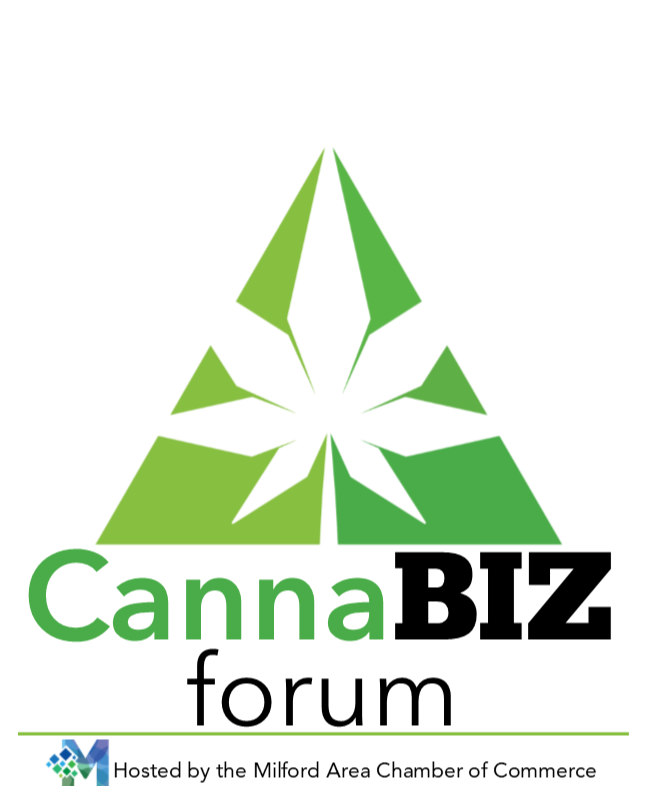 ►CannaBIZ Opportunities - Doing Business With. Starting a Business. Learn how to grab a piece of cannabis business for your existing business, or learn what you need to do to start an ancillary business supporting the industry with this esteemed group of panelists! Chris Hudella, Founder, Chief Scientific Officer with ProVerde Laboratories, and Brian Falk, Cannabis Attorney with Mirick O'Connell, and Yari Shahir and Tony DiRico with Hub Folding Box Company will explain how businesses can benefit from being a part of the Cannabis Industry. Learn from their expertise and experiences! ►Do you have an idea for a Cannabis product, but don't know how to get started? Ashlyn Plunket, Director of Programs & Community Relations at Sira Naturals with be available to discuss their Sira Accelerator Program, the first business accelerator built for Massachusetts cannabis microbusiness! Your ticket gets you a seat at the CannaBIZ Forum and lunch! RESERVE YOUR SEAT TODAY! Reserve a Vendor Table so others can learn about your business!